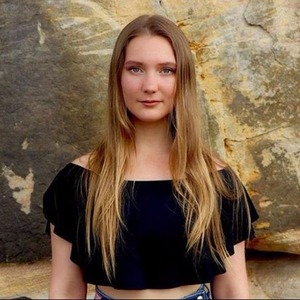 Ella Belfanti is a Sydney-based singer and guitarist, notable for her percussive style of guitar playing and the diverse mixture of genres incorporated into her music. Ella Belfanti is a young singer and guitarist notable for her percussive guitar playing and mesmerising live performances. Since releasing her debut EP early last year, Ella has been awarded 'Best Guitarist' at the 2017 Bluesfest Busking Comp in Byron Bay, has played a set at Byron Bay Bluesfest, played sets at Peak Festival, Byron Bay Guitar Festival, Illawarra Folk Festival, Buskers By The Creek, Marrickville Festival, was a headline act for Bastille Festival, and has toured in Melbourne and on the East Coast. Her music explores a plethora of tones and sounds from her guitar and vocals, taking the audience on a journey from raw ballads, to entertaining jigs, to funky renditions of classic rock numbers. Ella plays at JFK Woodfire Kitchen & Bar monthly.